Statutes of limitations can be very unfair. But as harsh as the SOL can be, a statute of repose can far more draconian, closing the courthouse steps on cases where the victims did everything they could to bring a timely action. What is a statute of repose? It is amazing how many tort lawyers do not know until they learn the hard way. A statute of repose provides a date certain by which a claim must be brought. In most states, there are no excuses. Unlike a statute of limitations, it often cannot be tolled by the date the injury should have been discovered. I can’t deny there is a purpose to the statute of repose. The legislature wants to create some outer time limit where a claim is just too old to be pursued, no matter what. But some states have these short statutes of repose, seven years in Pennsylvania and only five in Maryland for medical malpractice cases that are just unfair. failed to provide informed consent about the risk of the procedure. Defendant, a Greenberg, Pennsylvania podiatrist, argued the claim was barred by the Pennsylvania Medical Care Availability and Reduction of Error Act’s seven-year statute of repose. Plaintiffs argued that their cause of action arose before the effective date of MCARE’s statute of repose in 2002 and was, therefore, instead subject to the general two-year statute of limitations. The Defendant’s argument is essentially, even if I did commit medical malpractice, you could never have brought a claim against me anywhere. To decide when the cause of action arose, the Pennsylvania Superior Court found that a cause of action did indeed arise when the injury occurred. But, the court found that the fact that an injury occurred assumes that there is ascertainable apparent harm. This is a classic “if a tree falls in the forest and no one hears, did it make a sound?” type question. But the court pointed out an even graver injustice: had the plaintiff suffered an injury, she could not have brought the claim because the injury had never manifested. 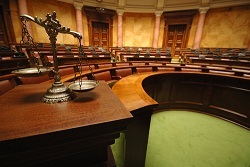 The key to this case is that there was no ascertainable negative effects when allegedly negligent surgeries were performed. She really could not have known. If she had had a discernable injury, this case would have had a very different outcome. This is a very common sense opinion that takes some of the harshness out of the statute of repose in medical malpractice cases.